Saturday, March 10 will see Purrpussful, step out for the Craig Widdison yard for the first time when resuming from a spell with Chelsea McFarlane aboard the five-year-old mare jumping from barrier (8). Last time out the runner finished 8 of 8 over 1300m at Geelong in a BM70 Hcp around 28 weeks ago and resumed with a barrier trial at Wodonga finishing third of 5/800 m with Nick Souquet the pilot on that occasion. Purrpussful’s last two starts were nothing to write home about though three starts back at Pakenham the mare collected the winners cheque in a BM64 handicap for fillies and mares on the synthetic track when landing the prize by 0.5 lengths, after charging home towards the outside rail, to get up in the last couple of bounds. 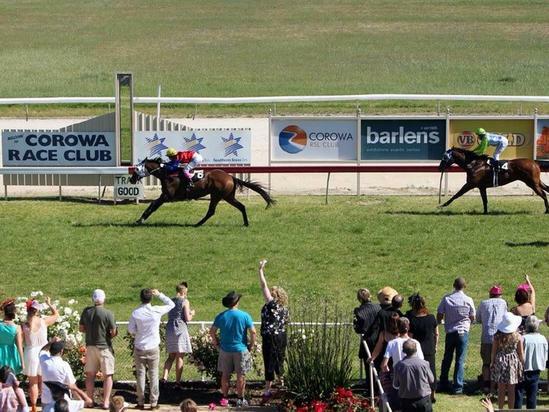 Good luck to connections with their runner at Corowa on Saturday.